There's a new challenge in town!! Dat's Designing Diva's and this is their 2nd Challenge - Masculine Cards which I am entering this card into. I used Stamping Bella's Grillafella. This card was actually inspired by one of the Diva's, The Happy Yappy Scrapper. A couple years ago we made this birthday card at one of her card classes and I used it for hubby's birthday then. I decided to create my own for hubby's birthday this year keeping with the same theme. Very nice. I have both of these stamps too and love them. Masculine cards are always tougher than feminine ones- great job on yours. Great Fella card! 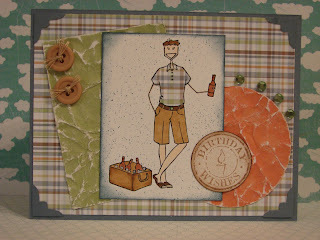 I love your paper piecing and the fun details like the button and twine. 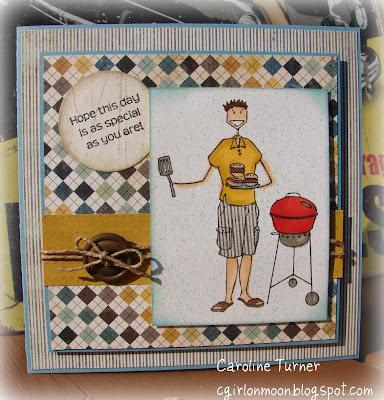 So glad you were able to play along with our masculine challenge at DAT'S Designing Divas! 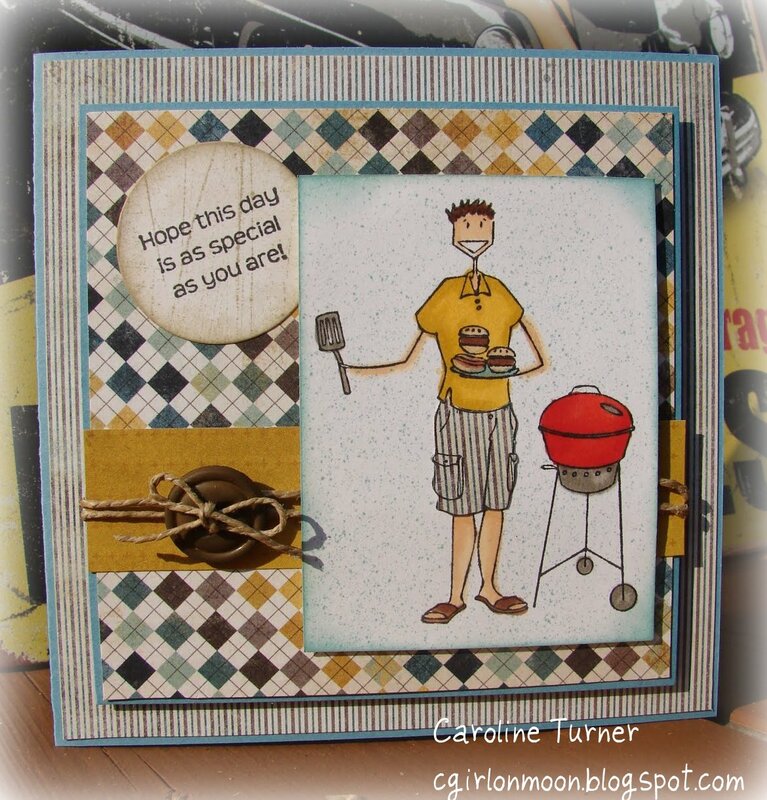 Fabulous Man Cards! 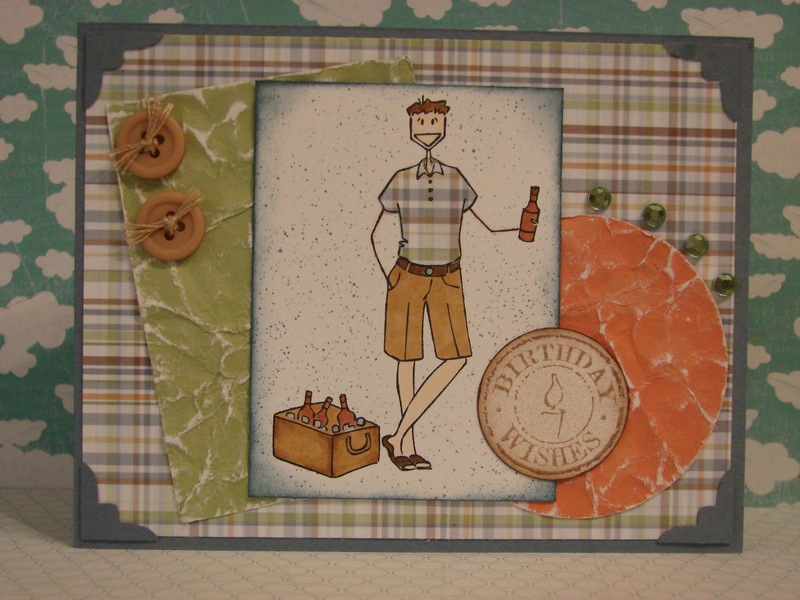 I love the twine bow on the button on the first card and the distressed paper on the second card. Thank you for participating in the DAT'S Designing Divas Masculine Challenge. Perfect masculine card, I always have trouble with those ones. Fabulous card! That striped shirt is just perfect. And I especially like how you showed us your inspiration. Thanks for playing in the DAT'S Designing Diva's Challenge! You did a great job on your card. Love the distressing!! Thanks for joining our challenge. Great card! I am so touched that you loved my card so much that you were inspired to create another. I think it is wonderful how we can all help inspire each other with our creations. Thanks for playing along with the challenge!